A man has been sentenced to five years in prison for killing his friend with a single punch. Nigel Williams, 39, of Cowper Street, Olney, was jailed at Luton Crown Court today after pleading guilty to manslaughter in relation to the death of Mark Munday. Mr Munday, 48, from Kempston, died after being assaulted by Williams on Saturday 3 December. The two had been to a football match in London earlier that day with a group of friends. On returning to Bedford, Mr Munday decided to visit the Grafton Hotel for a drink. Just a few seconds afterwards, Williams entered the pub and punched the victim once in the head, causing him to collapse. Emergency services attended and took the victim to hospital where he sadly died. 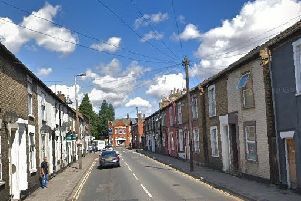 An investigation was launched by the Bedfordshire, Cambridgeshire, and Hertfordshire Major Crime Unit, and Williams was arrested shortly afterwards. Detective Inspector Alan Page, senior investigating officer, said: “This was an utterly heart-breaking incident which saw the death of a much loved husband and father of three at the hands of a man he had called a friend. “What makes this case even more tragic is how preventable it was – just one single moment of madness has forever changed the course of so many lives. “There is never any excuse for any type of physical assault and this case highlights how severe the consequences can be for those who resort to violence in an attempt to resolve their issues. All it takes is one punch to take away the life of an innocent person and to forever change the lives of those who loved him. In a tribute, Mark Munday’s family said: “On behalf of myself and our sons I would like to thank Bedfordshire Police for their hard work and dedication in bringing this extremely distressing and tragic situation to its conclusion today. I would like to send particular thanks to our family liaison officer who has kept us updated every step of the way though this horrific ordeal. “Mark was not only my husband, he was my best friend and confidante and the backbone of our family for 28 years. He was an amazing dad to our three sons and his legacy lives on in them. Mark’s death has left a massive hole in our lives and we miss him more than we can possibly put into words and will do so every day for the rest of our lives; our world is an emptier place without him in it and we will love him always. “I would like to thank my family and friends for their love and support over the last 18 weeks.